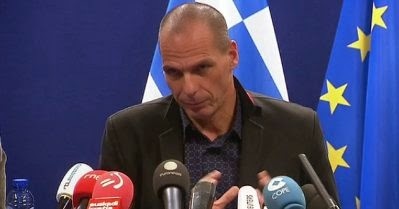 The Mud Report: Yanis Varoufakis-"The rational and the free escape the empire of expediency by doing what is right"
Yanis Varoufakis-"The rational and the free escape the empire of expediency by doing what is right"
Late yesterday Greek president Tsipras said again: "Greece will not step back from promises to people." "This Is Not A Game" said Greek Finance Minister Yanis Varoufakis yesterday. They both know Greece has options once it slips out of the Euro noose, for instance Greece might fit nicely into the Eurasian Economic Union. Probably the best example of Greece's leverage is the announcement this morning that Greece’s Prime Minister Alexis Tsipras has been invited to China by Chinese Prime Minister Li Keqiang for a state visit. Yanis Varoufakis went on to say, "The major influence here is Immanuel Kant, the German philosopher who taught us that the rational and the free escape the empire of expediency by doing what is right. How do we know that our modest policy agenda, which constitutes our red line, is right in Kant’s terms? We know by looking into the eyes of the hungry in the streets of our cities or contemplating our stressed middle class, or considering the interests of hard-working people in every European village and city within our monetary union. 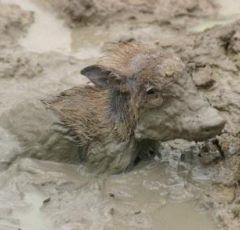 After all, Europe will only regain its soul when it regains the people’s trust by putting their interests center-stage." "the rational and the free escape the empire of expediency by doing what is right" sure doesn't sound like the words of a man about to cave in eh. Sure hope someday that spirit, that message spreads to your home town and mine.